Moments after Leslie was named the 5th District nominee, the Virginia Republican Party started in on some GOP name-calling. Not so, say two experts, Lowell Feld and David T.S. Jonas. 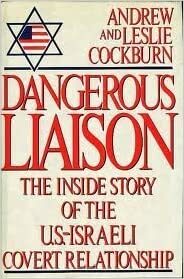 They write, “… we can say in full confidence—having been the apparently rare people in Virginia politics to have actually read the whole book—that not a single passage attributable to Andrew or Leslie Cockburn in “Dangerous Liaison” is even remotely anti-Semitic.